Spire now allows an unlimited number of payment methods. 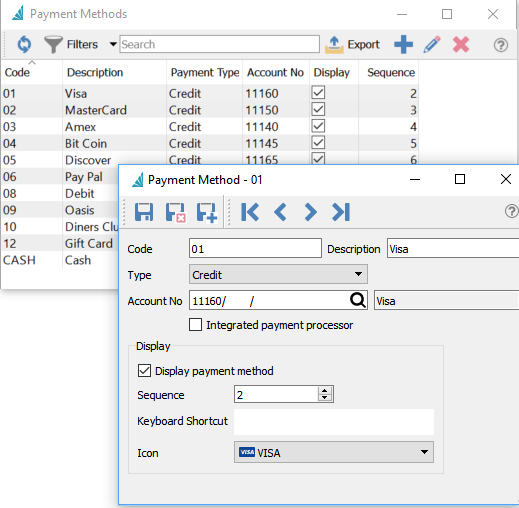 Select Edit/Payment Methods to add/edit or delete. Payment Type – Type for the payment method. *If payment type is set to ‘Cash’ it can be rounded to nearest .05. To enable penny rounding, edit/Company settings/Sales Orders/Misc and check “Enable penny rounding” and select a variance GL account to post the difference.